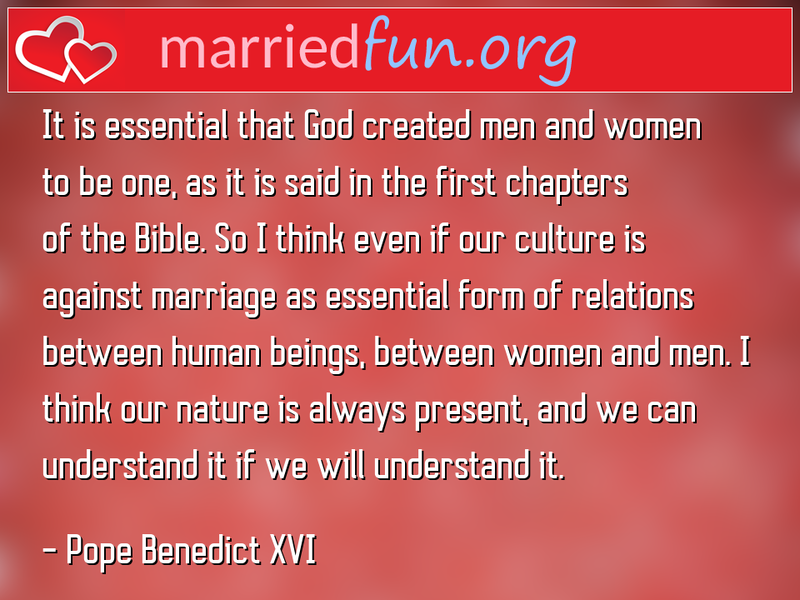 Marriage Quote - It is essential that God created men and women to be one, ... - Married Fun! It is essential that God created men and women to be one, as it is said in the first chapters of the Bible. So I think even if our culture is against marriage as essential form of relations between human beings, between women and men. I think our nature is always present, and we can understand it if we will understand it.